It will be England versus Egypt in the finals of the 2016/17 PSA Dubai World Series Finals after a breathtaking night of semi-final action at Dubai Opera saw James Willstrop, Mohamed ElShorbagy, Laura Massaro and Nour El Sherbini seal their spots in the title-deciders. 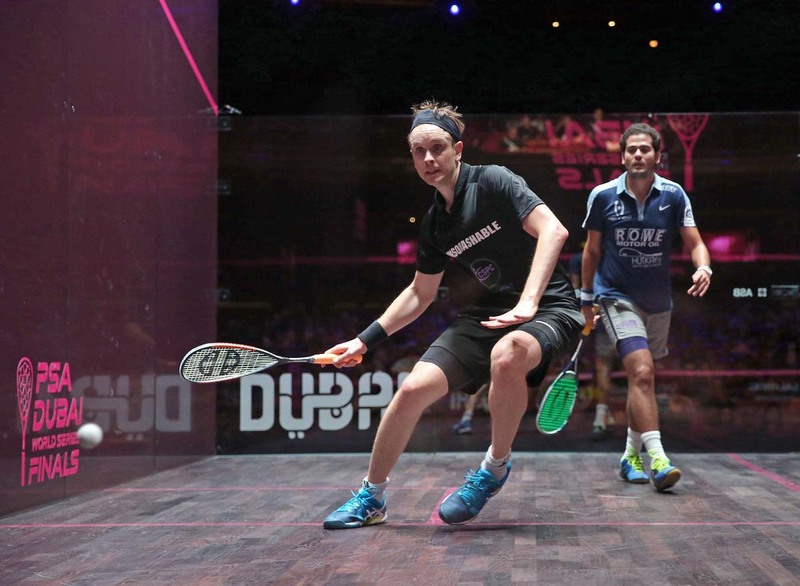 Former World No.1 Willstrop will appear in the showpiece finale of the World Series Finals for the first time in his career after he overcame World Champion Karim Abdel Gawad, playing some superb squash en route to an 14-12, 11-6 victory. “I’m 33, I’ve had time out like a few of us have, but I’m not taking it for granted that I’ll be able to get back to where I was when I was 29, it’s not that simple,” said Willstrop. “So it’s a great feeling when you’ve kept pushing yourself and you’ve gone down to No.20 in the world. To be able to do it again and to do it over four days means you’re still there and it’s a big confidence booster. 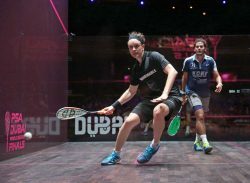 He will face ElShorbagy in a repeat of their Group B fixture after the Bristol-based Egyptian twice overturned match balls for Germany’s Simon Rösner to reach his first Tour final since November. ElShorbagy, the 2013 runner-up, fell a game behind against an inspired Rösner, but recovered from 8-4 down in the second to force a third game, where Rösner was unable to convert his match balls, handing the win to the World No.3 after a gladiatorial 62-minute battle. 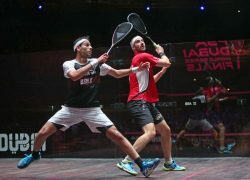 ElShorbagy beat Willstrop 2-0 in their group stage clash, but the final reverts back to the best-of-five games format used in all other PSA World Tour events, meaning that it’s all to play for in what looks set to be a thrilling finale to the Men’s tournament. “I’m born for these kind of matches and these kind of moments and I don’t accept myself being in another position,” said ElShorbagy. 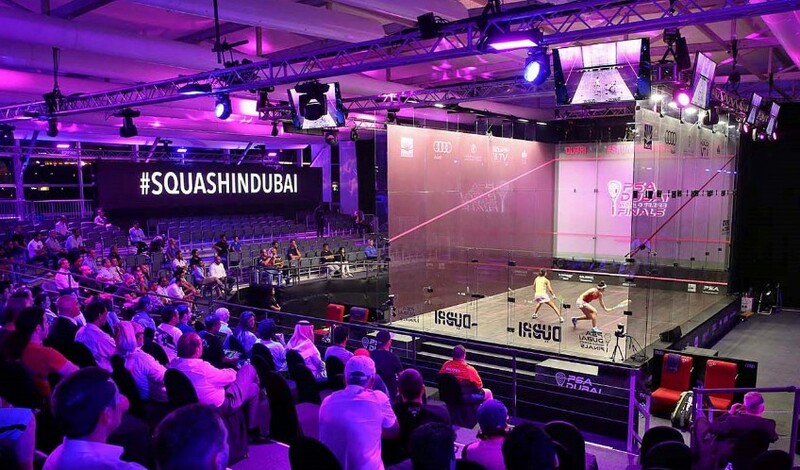 In the women’s semi-finals, Massaro and El Sherbini set up a repeat of the 2015 PSA Women’s World Championship final after they achieved respective victories over Nouran Gohar and Camille Serme. 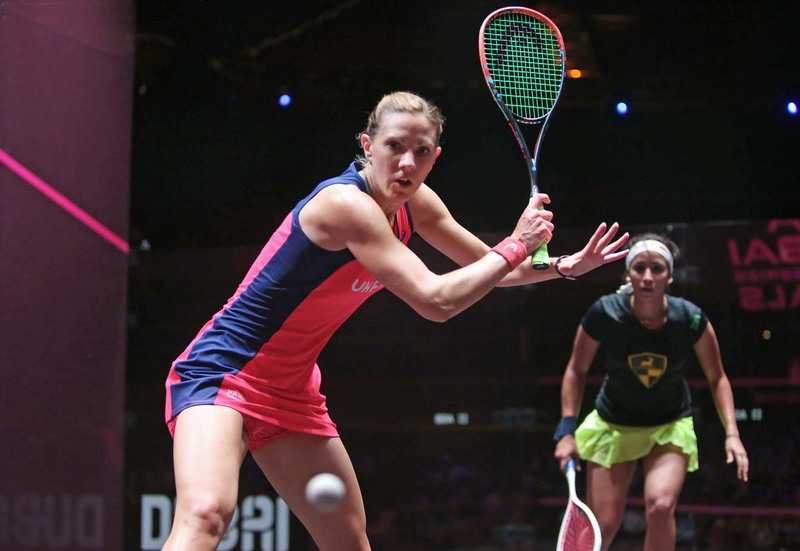 Massaro, the defending champion, was two match balls down to Gohar, but dug into her mental reserves to take the win in three games and reach the final of this tournament for the third time in succession. “Saving two match balls is brilliant and I’m really proud of myself, but I’m also really annoyed that I let three game balls in the first go,” Massaro said. Meanwhile, World Champion El Sherbini is through to a second Tour final in a row after she ended World No.3 Camille Serme’s tournament. 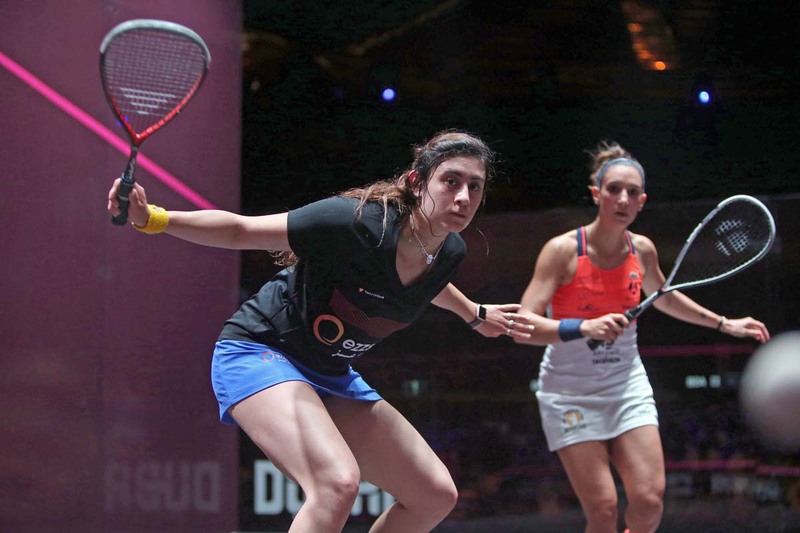 Like Massaro, El Sherbini also fought back from two games down despite injuring her hand in the third game and she will look to become the first female Egyptian to lift the prestigious title when she locks horns with Massaro, who she lost to in last year’s semi-finals. “I thought that I was going to retire from the match because I couldn’t hold the racket,” said El Sherbini. 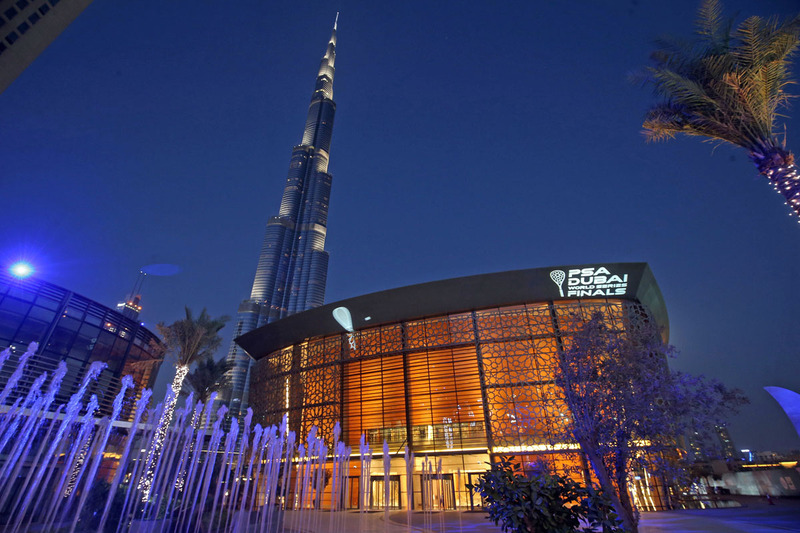 With an equal, lucrative $160,000 prize purse up for grabs, the World Series Finals brings together the top eight players on the Men’s and Women’s PSA Road to Dubai Standings, who are then split into two groups of four where matches are played in a best-of-three games format. 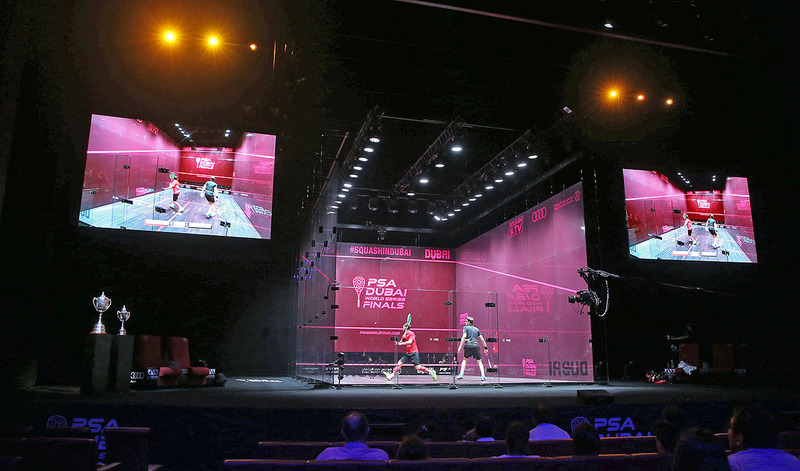 Players then battle for points to qualify for the knockout semi-finals and beyond, while the final will be contested in the regular best-of-five games format.